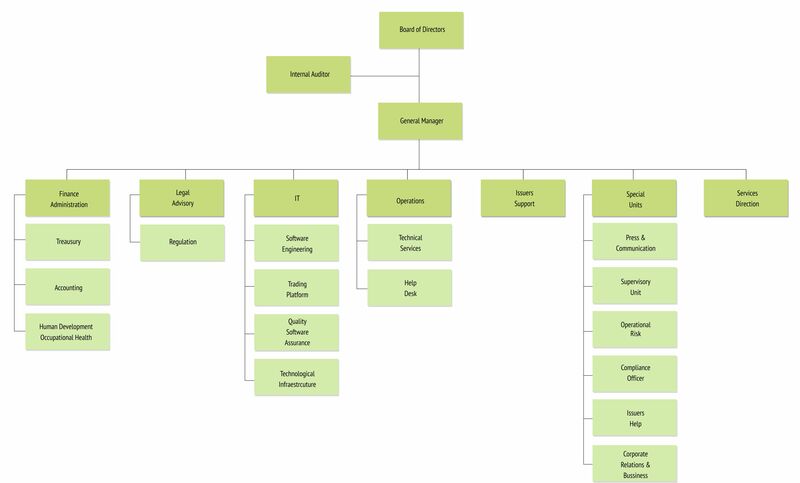 Brokerage firms are the main shareholders of the Exchange. The first attempts to establish a Stock Exchange in Costa Rica date back to the 1940s, when the Bolsa de Valores de San José was created. However, this Exchange operated for only one year. 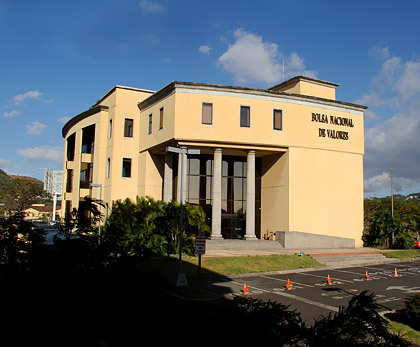 Some time later, in September 1970, a group of businessmen who were members of the National Chamber of Finance, Investment and Credit (CANAFIC) founded the Bolsa Nacional de Valores (BNV). The Exchange suffered initial setbacks when it started trading, mainly because substantial capital was required to design and execute its infrastructure as a whole. With the advent of the Costa Rican Development Corporation (CODESA), the Exchange seized the opportunity to begin operations, and therefore in 1974, the Central Bank publicly offered the Exchange’s shares for sale, which were totally purchased by said government agency. Thereafter, CODESA made the relevant steps to put the Exchange in full operation. It hired the advisory services of the Organization of American States (OAS) to perform the corresponding feasibility studies. Once the analysis and the organization were completed, the Exchange held its first session on August 19, 1976, and it was officially inaugurated on September 29, that same year, by the then President of Costa Rica, Lic. Daniel Oduber Quirós. Pursuant to the legal framework established in the Commercial Code as effective at the time, BNV was organized as a Stock Exchange, which empowered it to trade not only securities but also other types of goods and services. However, as part of the “economic democratization” process developed during the Administration of former President Rafael Ángel Calderón Fournier (1990-1994), on May 27 and 28, 1993, the shares held by CODESA (40%) were sold to private investors; which means that today BNV is wholly owned by private entities. At present, the Costa Rica National Exchange is a private company whose purpose is to be a facilitator of transactions in securities or any other economic interests, whether embedded in the securities or not, and an important promoter of capital market development. With 40 years of experience, our stock market is the oldest in the central american region. The Bolsa Nacional de Valores is governed by a Board of Directors that is elected through the General Shareholders’ Meeting. The General Manager and a group of executive officers are responsible for the operation, administration and performance of the Exchange. This infrastructure has been strengthened over the last years with the emergence of institutional investors, such as mutual funds and pension funds which, in addition to being a major component in securities demand, promote long-term securities issues. BNV provides two types of trade settlement. For cash (spot) debt securities transactions, securities payment and delivery must be performed before the end of the next day after trade date, that is to say, T+1. For cash (spot) equities transactions, settlement is carried out on T+3. BNV also provides settlement facilities for longer-term transactions, up until 360 days. This is allowed within the Exchange’s trading system, which enables issuers to be more flexible as to settlement date, if necessary. These transactions are identified as “Forward Trades”. The settlement is carried out through the stock market, but the escrow agent is separate. From November 2015, it began operations Interclear Central de Valores S.A a new value depositary which replaces the old CEVAL. Interclear is an independent company of the Bolsa Nacional de Valores and operates as annotation on private account, and deposit of securities. The Exchange has a 40% stake in the share capital of Interclear and the remaining 60 % is provided by clearing members (banks and brokerage firms).